What is a Ductless Mini-Split air conditioning system? Only one of the hottest-selling cooling systems in the country - Massachusetts included! A trend that took Europe by storm and is now heading westward, these modern, energy-efficient and stylish air conditioners have become such fast sellers that Mitsubishi is challenged to keep up with the growing demand. Mitsubishi, the world’s top-selling brand of ductless cooling and heating systems, experienced a complete sell-out of its 2013 U.S. inventory well before the end of last year. 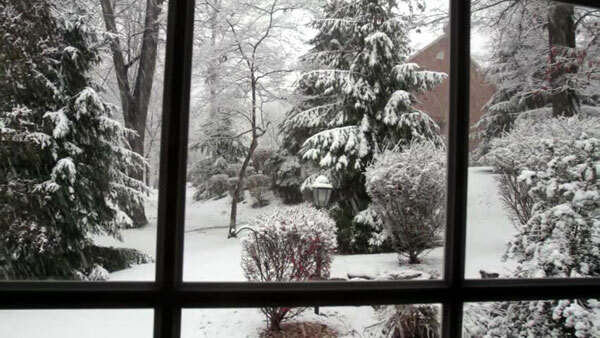 This caused limited availability and back-orders with Mitsubishi Diamond HVAC specialists throughout the United States. Nearly six weeks ago, the out-of-stock inventory was made available again and has been flying off the shelves ever since. 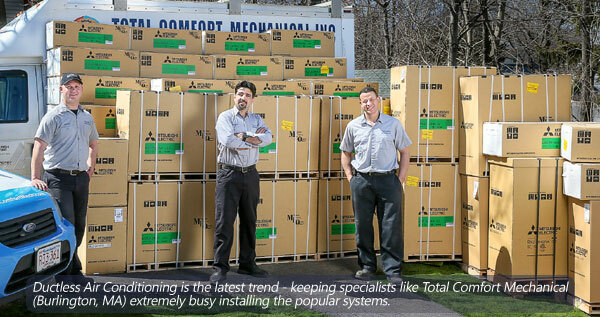 “Heating and air conditioning specialists” Total Comfort Mechanical of Burlington, MA happily announced the new 2014 mini-split systems were back in stock and contacted their customers to arrange installation to those that had been anxiously awaiting their new Mitsubishi ductless mini-split systems. The ductless mini-split wave is keeping HVAC contractors extremely busy. "We can hardly keep up with the demand", said Total Comfort Mechanical owner Wendell DePaiva. "We've had so many requests for ductless installs that we completely wiped out our inventory in just a few weeks," DePaiva said, "but we have already restocked and are ready to install." It seems Massachusetts residents are some of the most energy-conscious the country - the U.S. Green Building Council recently ranked the state #4 in the top 10 list of states leading the nation in green building. 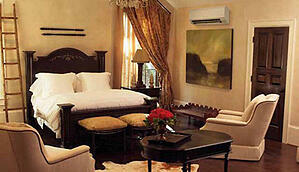 Like central air conditioners, ductless units have a split design and don't require a complicated system of ducts. The split system (also called a mini-split, ductless split, or duct-free system) has at least one indoor unit in the home or office (this is the evaporator) and one outdoor unit (the condenser). Line sets, which are copper tubes of refrigerant, are run to the indoor unit from the outdoor unit. The indoor component can be mounted on the ceiling or the wall and are extremely quiet when in operation. Read more about ductless ac systems here. With the booming popularity of ductless systems, the product selection is getting wider - many electronics manufacturers now offer their versions of ductless appliances. Considering that many smaller brand names typically don't specialize in heating and cooling solutions, it's important to note that it can be a challenge to find qualified technicians to install and service them. The specialists at Total Comfort Mechanical recommend sticking with a trusted, industry leader that provides a solid warranty on their product and has a network of certified and trained Diamond Contractors to perform the installation and service. "It's smart to get a few estimates from qualified and certified HVAC contractors before making the investment," DePaiva advises.